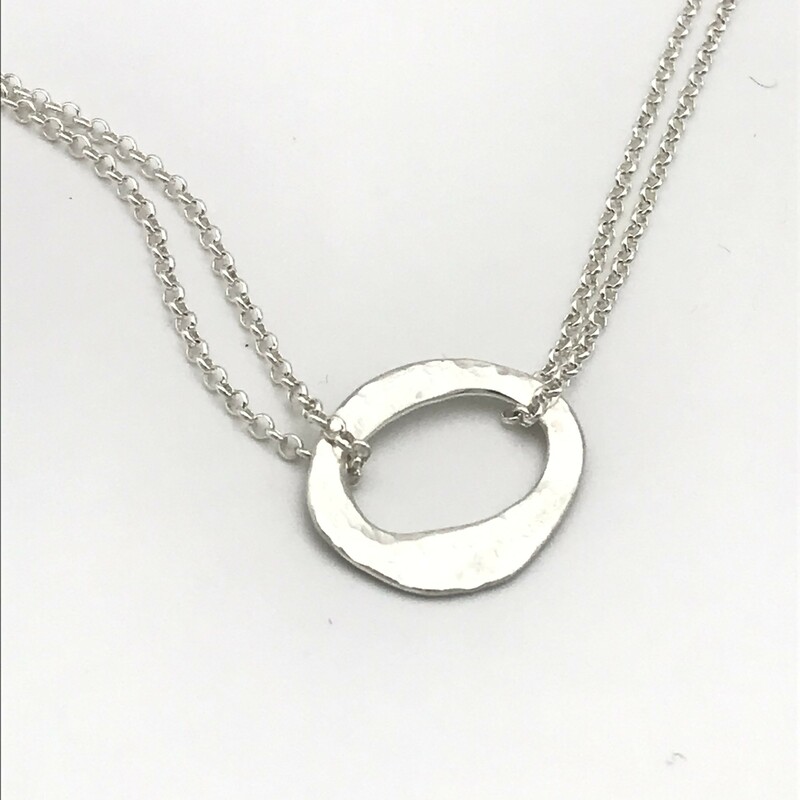 Hammered Oval Necklace, made of solid sterling silver, hammered and matte finish. 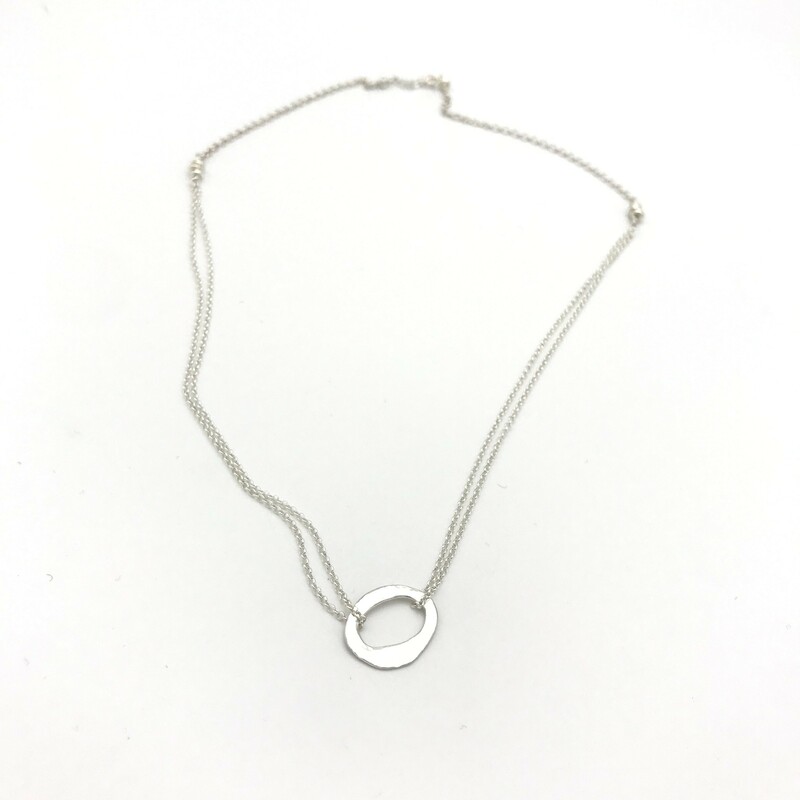 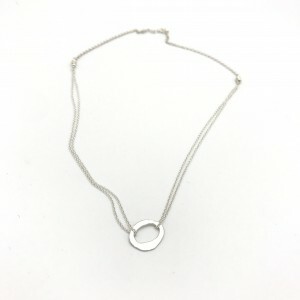 Double layer of sterling silver chain, then a single, heavier sterling chain at the back. Be the first to review “Hammered Oval Necklace” Click here to cancel reply.